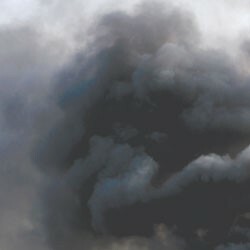 In Don DeLillo’s novel White Noise, a train tank car derails, releasing its contents — a chemical called Nyodene Derivative, or Nyodene D — in a black, billowing cloud. The narrator’s son Heinrich reports that Nyodene D has been found to cause “urgent lumps” in rats. As for humans, no one is sure. The authorities at first warn of skin irritations and sweaty palms. Soon they issue a correction: Nyodene D doesn’t cause skin irritations and sweaty palms. It causes nausea, vomiting and shortness of breath. “What are they calling it?” asks the narrator, Jack. On the radio, a “consumer affairs editor” discusses the effects of Nyodene D contamination: convulsions, coma or miscarriage. People are evacuated. It begins to snow. They wonder if the snow contains Nyodene D.
Vermonters who are watching Japan’s nightmare  Chernobyl, anyone? Three Mile Island?  might have felt a scintilla of hope when the Nuclear Regulatory Commission postponed relicensing Vermont Yankee, Fukushima Daiichi’s equally evil twin. Unsurprisingly, the delay had nothing to do with caution. That, Jaczko explained, is because the regulators calculate the risks by plumbing the geological and meteorological history of a reactor’s region for the worst natural disaster that could occur there, and require that the facility be able to withstand such an assault, and then some. Typical of pronukers’ Monday-morning head slapping, Vermont’s former techie-in-chief, Tom Evslin, blogs that “it seemed like a good idea” to store the spent rods at the plant temporarily. But now, “with hindsight, it’s clear that a catastrophe which threatens the reactor may well also threaten the spent rods.” Who woulda thunk? The horror of an unprecedented event is not always the unpredecented part, though. The 1957 accident at the British Windscale reactor — where the graphite core melted and contaminated the region for miles — ranked 5 on the 7-point severity scale, just like Fukushima. The NRC remains confident. It has not yet conducted its 90-day investigation of the events in Japan to gather intelligence about U.S. nukes, many of which are in their dotage and similar, if not identical, to Fukushima Daiichi. Yet the commission has already concluded that the crisis in Japan does not signal the need for any major changes in regulatory practice here. I have read the NRC’s 2001 Vermont Yankee safety evaluation supplement, the document that grants Entergy permission to work the 40-year-old horse for another two decades. A former English major, I do not claim to understand much of it. But I can read dates, and I noticed that the plant’s safety inspection was completed in 2008, two years before those tritium leaks — and the company’s cover-up — were discovered. Revisiting that issue in 2011, the commission was satisfied with Entergy’s plans to inspect underground pipes more thoroughly and frequently in the future. There is no written commitment that company representatives will cease lying under oath. But white lies and short memories seem to be common in this industry’s culture. On November 22, 2009, after a radiation leak at Three Mile Island’s Unit 1 containment building, the NRC said the unit was slated for decommissioning when its license expired, according to CNN. Joining Unit 1 would be Unit 2 — scene of the 1979 meltdown — which had already been permanently shut down and emptied of fuel, the NRC said. This statement was odd, as Exelon, TMI’s owner, had applied for a license renewal for Unit 1 in January 2008, and the commission had approved it on October 22, 2009, one month before the article appeared. These are the people, both industry executives and regulators, in whose hands lies the survival of the planet as we know it. To watch the smooth-talking, extraordinarily smooth-headed NRC commissioner Jaczko insisting that we are perfectly safe is to wonder if any of these guys knows we are witnessing the real, apocalyptic thing. How much closer to Doomsday do we have to get before they — and we — stop trusting the massive tin cans of combustible death littering our landscape? When, I ask you, are policy makers going to evidence a modicum of appropriate dread? Perhaps the nuclear club simply has a robust appreciation for the absurd. For instance, a large portion of the NRC’s 2011 Vermont Yankee report concerns a category of regulatory review called, with DeLillovian resonance, Generic Aging Lessons Learned. Throughout the document the term is referred to by its acronym: GALL. “Poli Psy” is a twice-monthly column by Judith Levine. Got a comment on this story? Contact levine@sevendaysvt.com.